At the Labour party think-in in Drogheda, Co Louth. 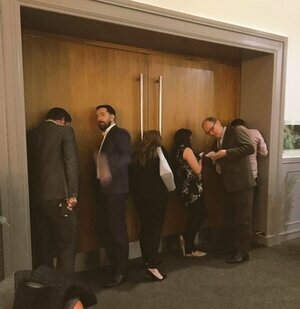 A number of political correspondents listened through a door while a private meeting of Labour party members was under way. 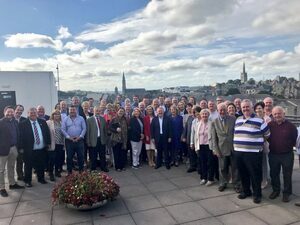 Brendan Howlin was excoriated by disgruntled members at a private meeting during the Labour Party’s think-in yesterday. Mr Howlin faced a sustained onslaught about his leadership and was told that the public was “indifferent” to him and that the manner in which he was elected leader was “disgraceful”. During a sometimes raucous meeting, councillors also vented their frustration about “disenfranchised” voters and the direction of the party. 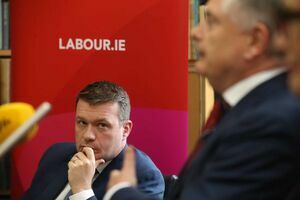 Alan Kelly, the Labour TD for Tipperary, attacked his party, saying that the performance of the parliamentary group was “not good enough”. Members should be encouraged to break ranks to air their grievances, he said, while representatives in the Dáil needed to be in the media more often. A lengthy and at times heated debate on the Labour party leadership ended with members hugging each other, Brendan Howlin has revealed. Mr Howlin has said the issue of leadership of the Labour party has been put to bed until after the next General Election. Posted in Misc and tagged Alan Kelly, Brendan Howlin, Labour Party, Think-In at 12:26 pm on September 17, 2018 by Bodger. Mr O’Brien said that while he learned about the Vicky Phelan case on RTÉ News, he said he was told in the briefing note that a communications process was about to begin to notify patients with cancer about an audit of their smear tests. “I was aware that an audit was carried out which was good practice. I was aware of a detailed plan to communicate the results of that audit,” he said. 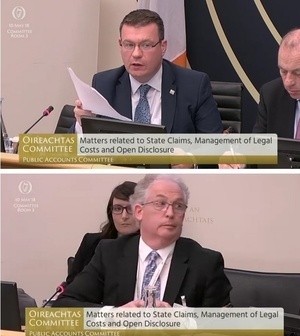 Posted in Misc and tagged Alan Kelly, CervicalCheck, Public Accounts Committee, Tony O'Brien at 2:04 pm on May 10, 2018 by Bodger. Dáil chairman, Ceann Comhairle Seán Ó Fearghail, is “considering” a fresh complaint from Labour TD Alan Kelly over information he sought over the treatment of Garda whistleblower Maurice McCabe. Mr Ó Fearghail yesterday received new correspondence from Mr Kelly and he is now taking the matter under consideration for adjudication, a spokeswoman for the Oireachtas said. Previously: What Is Going On? 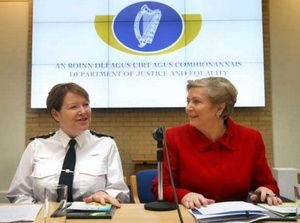 Posted in Misc and tagged Alan Kelly, Frances Fitzgerald, Maurice McCabe, Noirin O'Sullivan, O'Higgins Commission of Investigation at 11:16 am on November 17, 2017 by Bodger. 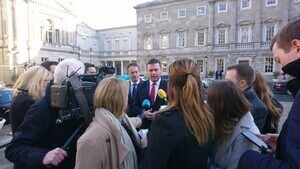 Labour TD Alan Kelly speaks about the party’s Craft Brewers Bill at Leinster House. Many distilleries and breweries, including micro-breweries, are tourist attractions and welcome visitors on guided tours. Under the Licencing Acts, however, unless the owners acquire a pub licence or an off-licence, it is not possible to sell those visitors the product that is made on the premises. The purpose of this short Bill is to rectify that situation by permitting the sale by distilleries and breweries of their own product to tourists and other visitors. The Bill also covers the making of cider and perry. 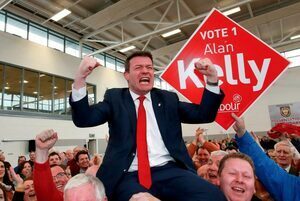 Posted in Misc and tagged Alan Kelly, bill, breweries, Craft beer, licences at 3:58 pm on November 23, 2016 by Broadsheet. On Saturday, Pat Leahy, in the Irish Times, reported that the C&AG found that hundreds of millions may have been lost in the sale of Nama’s Northern Ireland property portfolio, Project Eagle, to US investment firm Cerebrus. It was reported that this loss may have been due to what the C&AG found to be “shortcomings” and “irregularities” in the sale. The C&AG report is due to be published on Wednesday. The report about the C&AG study followed a BBC Northern Ireland Spotlight programme into Project Eagle broadcast last week, which followed an earlier Spotlight programme in March – both of which made serious allegations about the Project Eagle sale. “There has not been any allegation of wrongdoing against NAMA”. 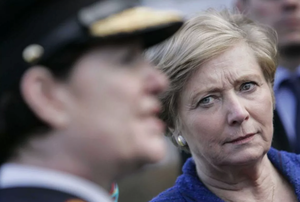 “Nobody has presented me with evidence of wrongdoing by Nama”. 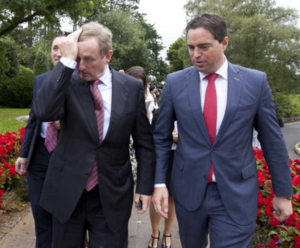 Taoiseach Enda Kenny spoke to Shane Beatty, of KFM Kildare, this morning, ahead of the Fine Gael’s knees-up think-in starting today in Keadeen Hotel, Newbridge, Co Kildare. The C&AG report into NAMA was discussed. Enda Kenny: “None here, and the National Crime Agency in the UK have confirmed that there is no case that they have, or are in pursuit of, in repsect of NAMA down here. So, the C&AG’s report is about a ‘value for money’ audit and you, as was pointed out on many occasions… depending on the process you follow for valuations, you might get different results. “If you, for instance, were to dispose of the properties now with the devaluation of Sterling you’d get a different result also. But I think this is an extensive report, we do need to read it, everybody needs to reflect on it. And if there are questions arising from the Public Accounts Committee’s engagment with NAMA, they are due in before them very shorty [September 22], I’m not adverse [sic] to taking action, but I need to know what is we are taking action on. 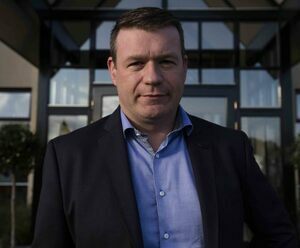 Labour TD and vice chairman of the Public Accounts Committee (PAC) Alan Kelly was interviewed on This Week by Colm Ó Mongáin following the reported findings of the C&AG report. 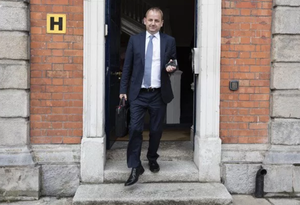 During the interview Mr Kelly said, in recent days, he was approached by a senior member of Nama ahead of Nama’s appearance before PAC on September 22. 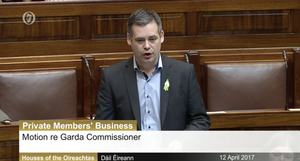 Alan Kelly: The [C&AG] report on this should be released, and obviously then, Nama will come before the PAC. It’s a matter for Nama whether they want to make public statement on it, I believe they should, I believe they’ve been quite naive to a point in relation to this. Even this week, a senior member of Nama contacted me to brief me before they met before the PAC. I redirected him to the chair of the PAC. I was not comfortable that selective briefings was the way to go to be appropriate given the situation we find ourselves in. But that just shows another level of naivety, I believe, in relation to Nama. Kelly: “Ah well, I won’t, eh, get into individual, but, ah, just a call during the week to meet up. Look, I just explained the Public Accounts Committee is a different committee to every other committee, you know, it has different powers. And it wouldn’t be abnormal for other organisations to brief committee members of other committees but, in relation to this scenario, I think selective briefings wouldn’t be the way to go. And, obviously, I referred to the chairman in relation to this. But, for me, I didn’t think it was appropriately the way to deal with things. Posted in Misc and tagged Alan Kelly, C&AG report, Enda Kenny, Project Eagle at 3:28 pm on September 12, 2016 by Broadsheet.